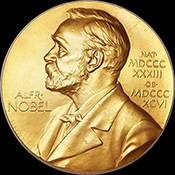 The school counts four Nobel laureates among its current faculty. Ranked by US News & World Report* fifth in quality of research training and second in quality of primary care training. UCSF is the only medical school listed in the top 5 in both categories. Ranked in the top five in all seven of the specialty areas assessed by US News & World Report*: second in anesthesiology, obstetrics & gynecology, and radiology; third in internal medicine; fourth in surgery; and fifth in pediatrics and psychiatry. Ranked among the top 10 in 15 out of 20 residency programs according to Doximity and US News & World Report. Ranked first in anesthesiology, dermatology, neurology, neurological surgery, and radiology. For more information and details, download the pdf of our Facts & Figures booklet.